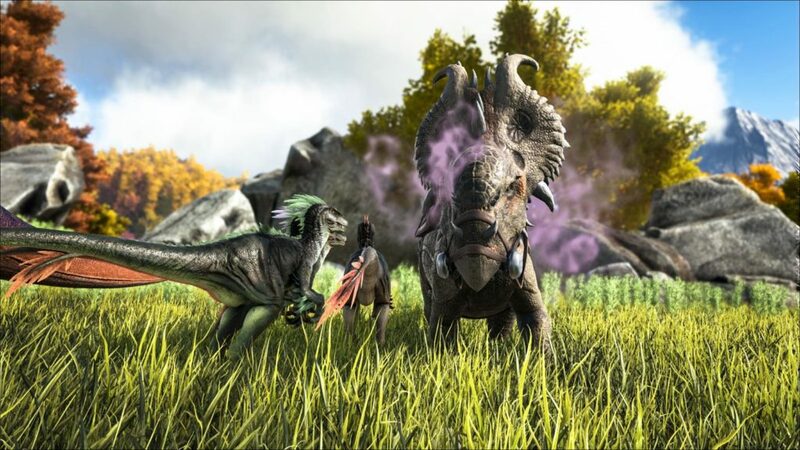 Domesticated: Pachyrhinosaurus is an excellent starting mount for anyone new to taming. It is fairly easy to train, can carry enough to be a simple pack-animal, and is not as deadly as some of the larger herbivores. 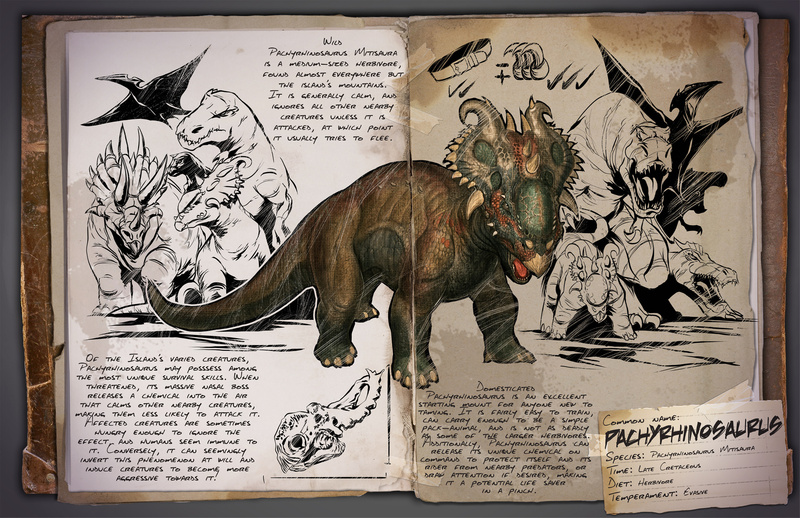 Additionally, Pachyrhinosaurus can release it’s unique checmial on command to protect itself and it’s rider from nearby predators, or draw attention if desired, making it a potential life saver in a pinch.